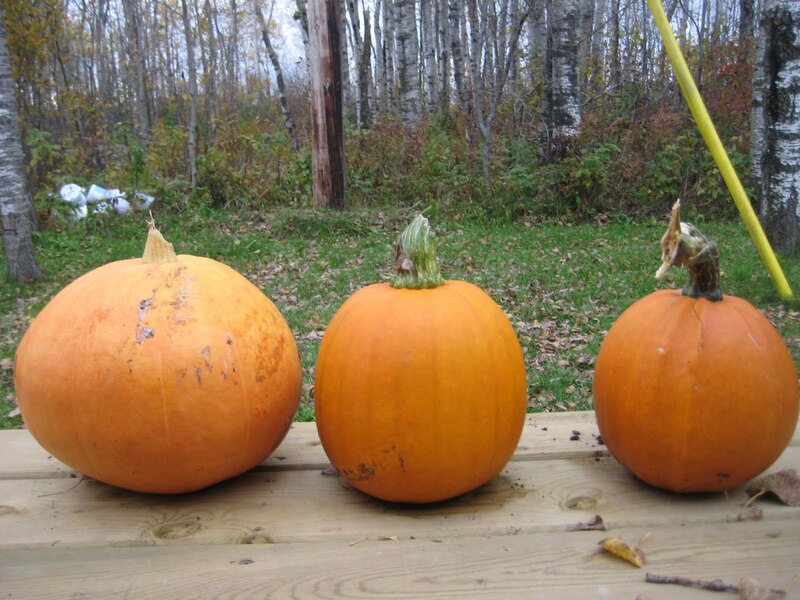 diary of a crazy person: My Pumpkins! We didn't plant much in our garden this year, it was mostly weeds. But I wanted to try to grow pumpkins again! I was hoping to get more, but this was my crop! The one on the left is supposed to be one of those giant pumpkins that grow to 500lbs, but I think the weeds in the garden sort of took over! I would like to try again next year, starting with a weed free garden! For some reason I just love growing pumpkins!